Jo here with little bonus for you this week! You’ve already had a couple of tutorials for some inspiration on how to use the resources in the current 30 Best Selling Creative Fonts (With Web Fonts and Extended Licensing) deal, which we hope you’re enjoying. One of the great features of this bundle is the inclusion of desktop fonts and webfonts allowing you to utilise them not just to make your print/graphic designs stand out, but your web designs too. After several community members asked about exactly how to use the web fonts available in this bundle, we decided to put together a helpful guide, for all you guys who are new to working with web fonts. There’s no need to be intimidated or put off from using web fonts, and as this guide will show you, they’re quite easy to use once you understand the basics. There is a full text version of this tutorial below, but I’ve also put together a short video walking you through each step of the process. You’ll be using your new web fonts in no time :). As you can see, it could do with a little webfont love to liven it up. WOFF fonts were created specifically for web use, and often load faster than other formats because they use a compressed version of the structure used by OpenType (OTF) and TrueType (TTF) fonts. This format is generally preferred because it can also include metadata and license info within the font file itself. An SVG is a vector re-creation of the font, which makes it a smaller file size, and is also great for mobile use. This format is the only one allowed by version 4.1 and below of Safari for iPhone. 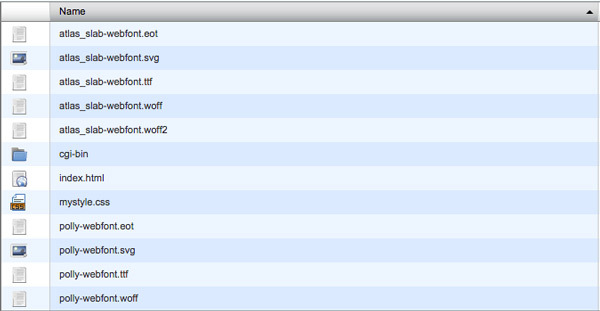 Currently SVG fonts are not supported by Firefox, IE or IE Mobile. SVGZ is a zipped version of SVG. This format was created by Microsoft and is the only format that IE8 and below will recognize when using @font-face (we’ll cover this in Step 3) within a stylesheet. Although being phased out in preference for WOFF, OpenType has the capability to include swashes, ligatures and alternate characters, which is a bonus for many designers. Although you may be able to get away with just using the .woff file, if you want to be as requirements of different web browsers, as each have limitations as to what file types they can support. With your files in the right place, the first thing you need to do is update your css file to let browsers know where they can find the webfonts. We do this by using the @font-face declaration. It’s extremely important that you make sure the file names match exactly to the original files – double-check capital letters, underscores and hyphens. 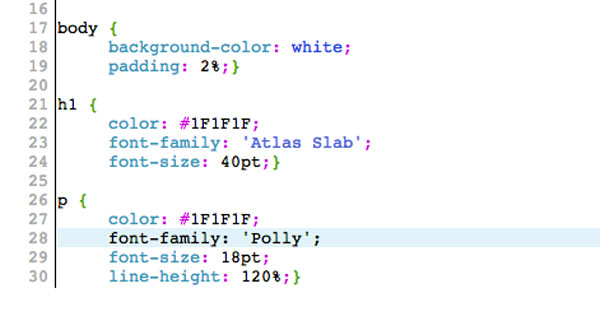 Once you’ve added the @font-face declaration to your css file for your webfonts, we can apply them to our text! 5. 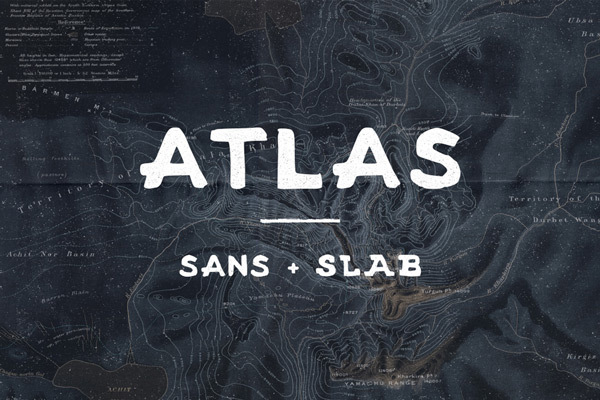 Save the files and admire your webfonts! 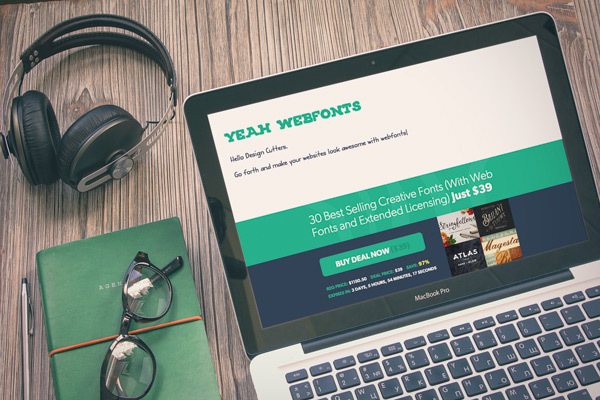 Hopefully this tutorial showed you how to get started using the webfonts which are included in this huge bundle. If you’ve got any questions, please leave a comment below and I’ll keep an eye out over the next few days and do my best to help :). Thank you Thank you Thank you!!! That was SUPER helpful! Google’s NOTO fonts are said to be webfonts. But when you download the fonts all you find are ttf fonts! No ‘woff’ or ‘eot’ fonts! How can they be used with the @font-face declaration? The ‘Guidelines’ on the google website does not address this. Please any pointers will be appreciated. Thank you so much for reaching out to us and I’m so sorry to hear that you are experiencing difficulty with your Google fonts. Thank you so much for reaching out to us and I am so sorry for any confusion caused! The good news is that our Bundles include a variety of resources that should work across a variety of software as well as different servers so you should be able to find the perfect resources that work for you! Resolved! Sorry, all to do with the path to the fonts! As always though if there was ever anything I could assist you with, please do get in touch- I’m always happy to help! Also, it’s nice to see a woman delivering the info! Thanks for the comment! We are so pleased that you enjoyed the tutorial and that you were able to get working with your fonts :). Your email has actually made our day over here Daniela so thank you! if you ever do have any questions, please let us know- we are always here and happy to help! Many thanks Jo for this most interesting tutorial. I came across a WP plugin which might do the trick. Do you think it is usable for that collection of fonts ? Thank you so much for getting in touch with your kind words and for your suggestion! We really appreciate you taking the time 🙂 We don’t currently work with any plugins like this and would always recommend this tutorial for your webfonts but I will certainly pass this over to our technical team to see if this could work. Thank you and very thorough tutorial! Love having the video and the text. I hope this helps, Noelle, and please don’t hesitate to contact me should you have any other questions. I’m always happy to help! Thanks for your instructions . A “style” folder where to put css and fonts is much simple. This help me a lot than adding ../ for going out from the “css” folder. Example: “../fonts/font-name.woff”. Brilliant putting everything together on such short video ! If you do have any questions or if there is ever anything myself or the team could assist you with please do get in touch. We’re always happy to help! Google have recently announced that they are also entering the web-font market – with the same free, hosted model as ours. Although we have put 100’s of hours into the design, development and readying of 150+ fonts (x4 formats = 600! ), with only weeks before font-face.com was ready to go live, we have decided to bow out now. A bitter blow to the team. Our decision has not been easy. Although we feel we would offer a better service, we would after all be competing with Google. A massive might to compete with. The last thing we would want is to host fonts for everyone to link to, only to at some point (after google have beaten us) be forced to turn them off – destroying your website designs. So as not do disappoint you in the future, we have decided to stop now. Have no fear though – we will be back! We are hatching a new plan for font-face.com – stay tuned! font-face.com will still be the home of everything font-face, just not in the original way it was intended. Thanks so much for the comment and for the heads up! We weren’t aware of this so we really appreciate you bringing it to our attention. We are going to look into this and never fear, we will work around this. There has been a mention of an updated tutorial on the back of this but i shall keep you updated on this! i decided to try VERB on one my sites – it’s not outrageous – and it is quite professional looking. Ah and there it is. Looks like it worked out really well for you. The fonts looks great. Thanks Jo. And we love your accent. Going to attack some webfonts today! Awesome tutorial Jo! I had tried to do this and got, oh, so close, but was missing the essential bit to make it work and now I have this in my hands, thanks to you!! Thanks so much! I’d always been confused by how to use webfonts so this tutorial was awesome. 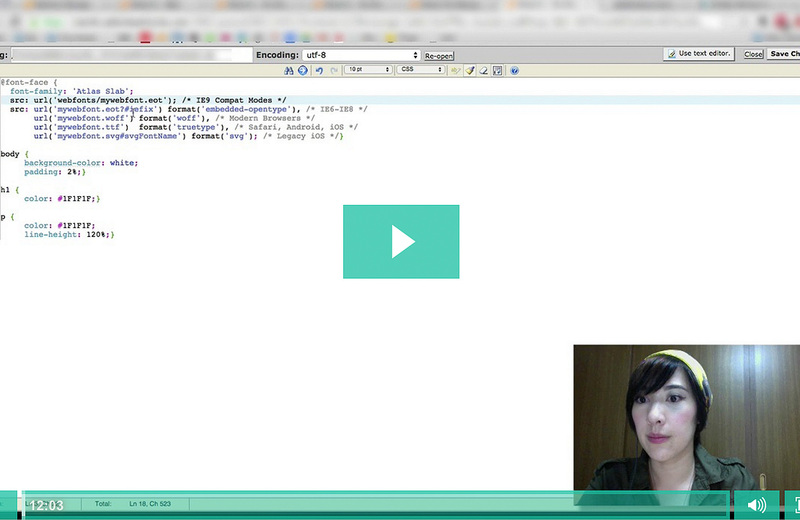 I like how she didn’t speed through and that she showed us the code to make our sites pretty with amazing font. Yay!